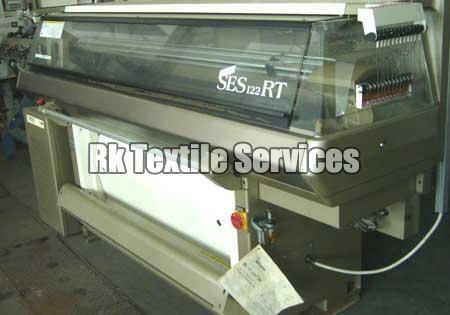 Another variety that we have in our basket is used flat knitting machines. Being a renowned exporter, importer and supplier, we offer products that run at peak efficiency and available at competitive market rates. Our company base is located in RKTS Surat (Gujarat, India). Besides trading used machines, we proffer new flat textile knitting machines and new high-speed circular knitting machines complying with the highest standards of the quality. We are a quality-driven firm and make sure that our offerings are properly kept and processed. For this, we have installed all the in-house storage facility that helps us in meeting bulk and urgent requirements of the clients. With exceptional transportation facilities, our diligent team delivers the product basket in the committed time span.